LATE JURASSIC MORRISON FORMATION Barosaurus. Mouse over the graphics for more figure info. There are fossils from rare diplodocids. Supersaurus, Suuwassea, Amphicoelias and Barosaurus. 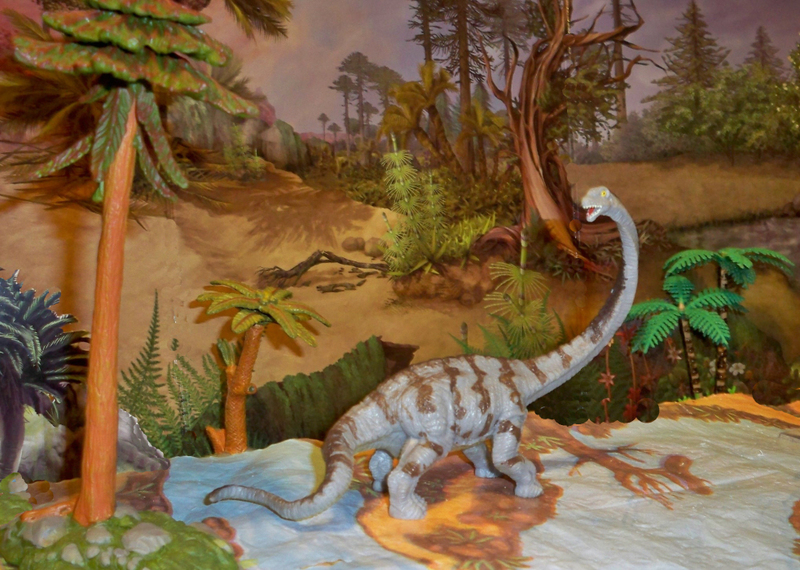 In some case these fossils may be larger individual members of know animals like Diplodocus. Barosaurus was slim-limbed like Diplodocus but with shorter tail bones and longer neck bones that were very light and hollow. Tooth wear seems to be different from other diplodocids more like that of camarsaurs indicating a high feeding strategy. Barosaurus is a rare animal in the Morrison but this could be because fragmentary fossils are indistigusihable from Diplodocus.